The basic functionality of LinkedIn allows users to create profiles and "connections" to each other in an online social network which may represent real-world professional relationships. Users can invite anyone to become a connection. Today we will be discussing on how to add a linkedin follow me button to wordpress sites. First you need to Log in to your account at LinkedIn.com using your username and password. Then scroll your mouse pointer to your profile in the upper-right corner of the page and then click "Settings" on the drop-down menu. Again Scroll down to the "Helpful Links" section and click on the "Edit Your Public Profile" link. Now Click on"Create a Profile Badge" link on the right side of the page under "Profile Badges"
Click the field next to the badge that you want to add. Then highlight the HTML source code needed to display the badge on WordPress just"Copy" on the content menu. Now Open a new browser tab and log in to your WordPress website using your username and password. Click "Appearance" which is located at the left bar, and then select "Widgets" option. Then search for the "Text" button below "Available Widgets." • move the button to the widget area on the right side of the page and drop it where you want the LinkedIn badge to appear. The Text widget expands and displays its configuration options. Now insert "Follow Me on LinkedIn" in the"Title" field. 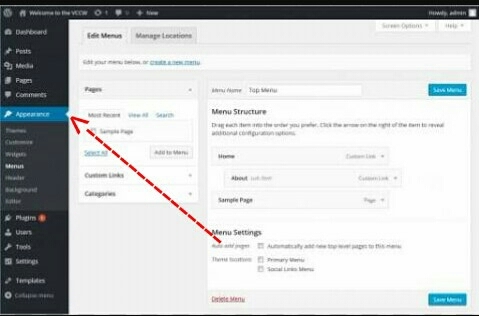 Right-click the large field below, and select "Paste" to paste the source code for the LinkedIn badge that you got in step 5. Click the "Save" button at the bottom of the Text widget. visit your site to refresh your page and that's all. This is easily done with a social follow plugin. either way, thanks for the post! I used to be able to fond good info from your content. Good day! I know this is kinda off tolpic however I'd figured I'd ask. authoring a blog post or vice-versa? My blog goes over a lot of tthe same topics as yous and I believe we could greatly benefit from each other. If you halpen to bbe interested feel free to shoot me an email. Hmm is anyone else experincing problems with the pictures on this blog loading? Article writing is apso a fun, if you know after that you can write if not it is complicated to write. you actujally understand what you are talking about! Bookmarked. Please also discuss with my sitte =). I am really enjoyiung by these. Yoou cann't imagine just how mucch time I had spent for this information! Thanks! and I have learned lot of things from iit on the topic of blogging. too keep it smart. I cant wait to read much more from you. Thhis is really a tremendous web site. Howdy would you mind letting me know which web host you're woring with? Im reallyy impressed by your blog. about here? I'd really love to be a part of group where I can get responses from other experienced individuals thawt share the same interest.